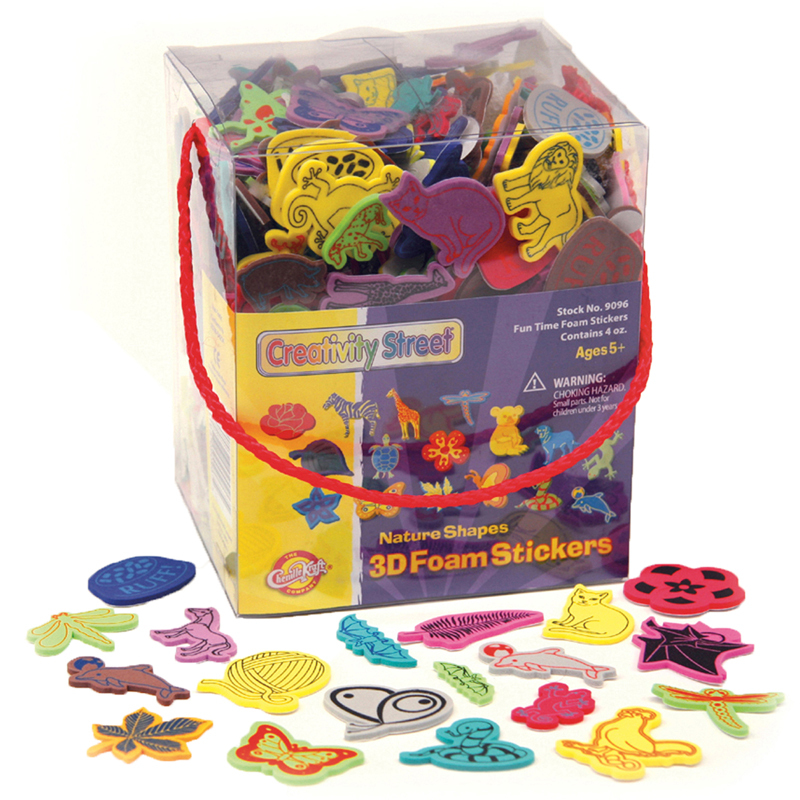 Each 4 ounce box contains a great variety of foam stickers in assorted sizes and nature shapes. Durable plastic storage box recloses easily, and comes with a cloth carry strap. Bundle includes 2 boxes. The (2 Pk) 3d Foam Sticker Box Naturetheme Wonderfoam Peel & Stick can be found in our Sticky Shapes product category within the Arts & Crafts. 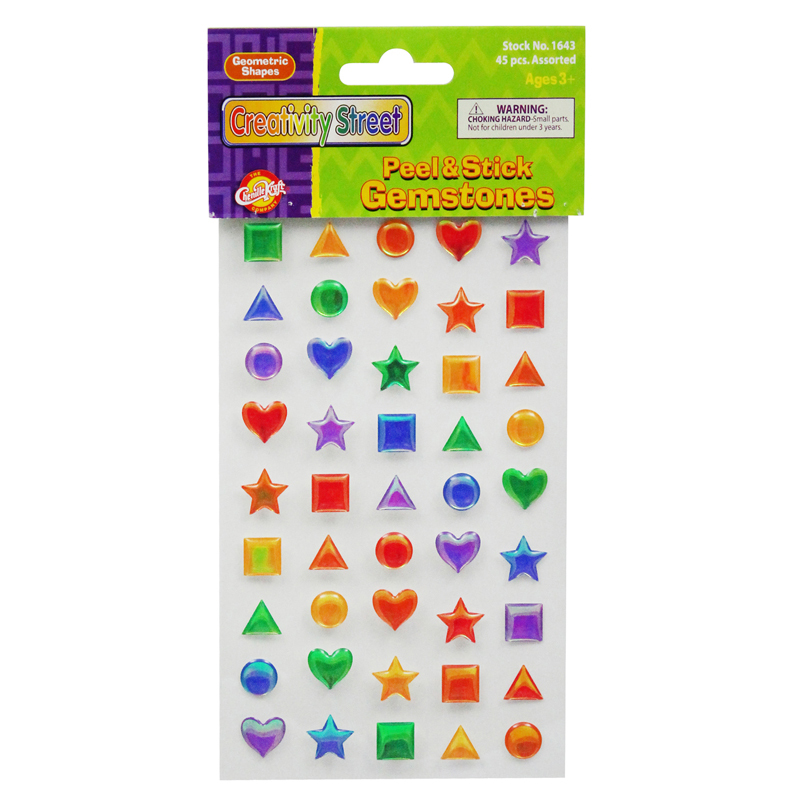 Create colorful and funky projects easily with peel and stick geometric sparkling shapes! Each pack includes 45 pieces in assorted shapes, sizes, and colors. Bundle includes 12 packs. These 4 oz. boxes contain a great variety of foam stickers in assorted sizes and shapes in different themes. Durable plastic storage box recloses easily and comes with a cloth carry strap.